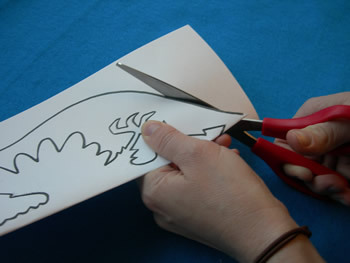 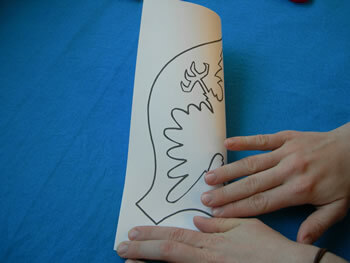 Fold the paper in half down the middle of the eagle’s body. 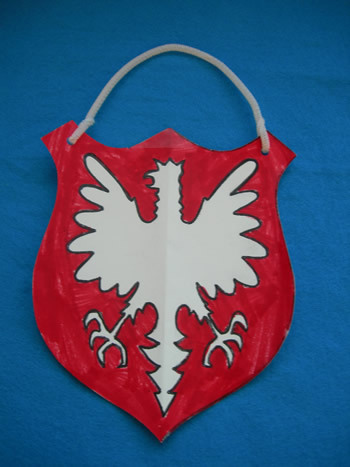 Cut out around the shield, not the eagle. 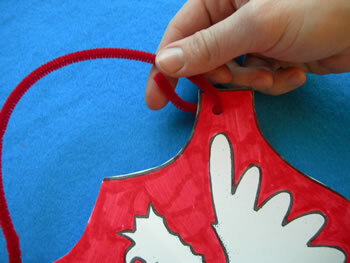 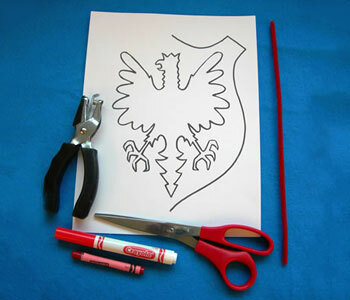 Open it back up and color the shield red with crayons or markers. 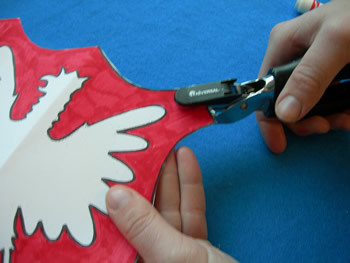 Punch a hole in each side of the top of the shield. 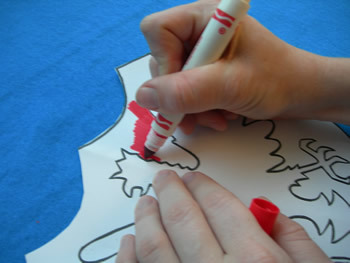 Wrap each end of the pipe cleaner through each hole.